NHM Maharashtra Recruitment 2018 for 1601 Community Health Provider(CHP) Posts has been released in District wise likely Amravati, Palghar, Jalgaon, Gadchiroli, Ahmednagar, Sindhudurg, Gondia Latur, Wardha, Washim, Osmanabad, Satara, Hingoli & Gadchiroli Dist for Community Health Provider posts. Apply www.nrhm.maharashtra.gov.in before the 24th July 2018 or 4th August 2018 (Amravati Region). Check out our page for more NHM Maharashtra Community Health Provider Recruitment 2018 details at here, the due dates is 24th April 2018 for Other Regions and 4th August 2018 for the Amravati Region and the links are placed in the below section. well, the links are engaged now. The details of this Maharashtra NHRM Recruitment and the lists of National Health Mission Notification 2018 is carrying the package of NHM Maharashtra. The NHM Maharashtra CHP vacancies with given qualifications in the below section. The dates are getting on 4th August 2018, the last date is the due date of NHRM Community Health Provider Vacancies 2018 of Maharashtra State. Maharashtra NHM Recruitment is noticeable here for the Community health officer Posts approximately 1601 Posts So, the Candidates who had applied in offline mode must attend the Written Test/Interview at respective Locations given. But, the Candidate needs to attend with all the document that are notified on the notification and the officials along with Interview conducts Document Verification and select the talented aspirants. NHM Maharashtra Recruitment 2018 Notification for Community Health Provider Other Posts for the regions of Jalgaon, Washim, Buldhana, and Hingoli are issued individually. So, the Candidates who belong to this regions can apply for the CHP Posts, If you are eligible then follow the instructions which are informed by the National Health Mission (NHM) Maharashtra Board. 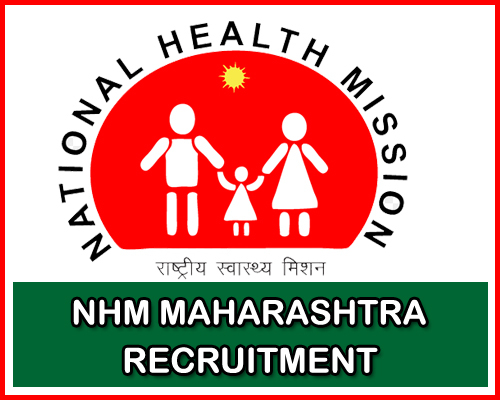 The NHM Maharashtra Recruitment Official Board released the Recruitment Notification They gave the Notification to fill the Community Health Provider vacancies. Here, we are giving the Latest Job Notifications in Maharashtra State, Check once. Must pass the Passed B.A.M.S from the Recognized Board. Kindly check further Educational Qualifications which are given in Official Notification. Check Out District Wise in the above table. The Contenders already in the process of NHM Maharashtra Notification for the 1478 Community Health Provider Posts In District wise. For these vacancies also NHM Maharashtra Board want to conduct the Interview for the applied ones. Check out the Full details of NHM Community Health Provider Recruitment Notification, The venue of the Interview is also presented on this web page, If you are really want to join in Maharashtra, National Health Mission (NHM) They can submit the NHM Maharashtra CHP Application form before 24th July 2018 through the offline mode and attend the interview here itself. The Application is also placed on this page, Find the Application which is in pdf & submits the form before the last date. The Admit Card for Interview for this NHM Maharashtra Recruitment is not issued to all the contenders. So, the applicants directly attend the interview on the given dates. NHM Maharashtra Notification 2018 Vacancy is released recently to hire the NHM Community Health Provider Recruitment to fill vacant seats in the various departments. So, all you need to do one thing once, audit the Complete notification, if you are satisfy this requirement then, participate in the NHM Recruitment offline process and attend the Interview on the dates given. The NHM gives the intimation after receiving all the NHM Maharashtra CHP Application through the offline mode. They only pick up the Aspirants who are well in Interview, In that, round the NHM Board Officials refer the Candidates who got merit in the Academics & who have the minimum experience in the related post. Check the more news on this website. Go to the Home Page, On this, you will find out the NHM Maharashtra Recruitment Notification. Fill the Details & Enclosed the Documents in the prescribed format. Complete all the formalities as per the norms of the NHM Maharashtra Recruitment. auyurved having post in Ayush department too…other also having post in ayush dept.but why partiality while community health officer,dept.only taking bams canditate why ,why? IS IT REGULER PERMENENT JOB OR NOT?